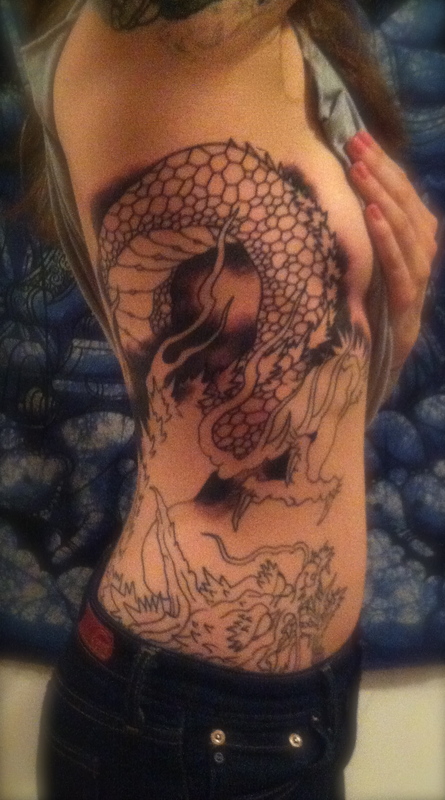 Recently I have begun the process of having my ribs tattooed by the extremely talented Timothy Hoyer. Yesterday was my second session in this area. I have successfully avoided this area of my body for years. Now that I know how this feels I have much more respect for all the people I have put on the slab over the past decade. -were going to use baby back ribs because they’re leaner. 2 pounds should do it for 2 people. First cut the ribs to desired portions with a good chefs knife. Cut in between the bone. 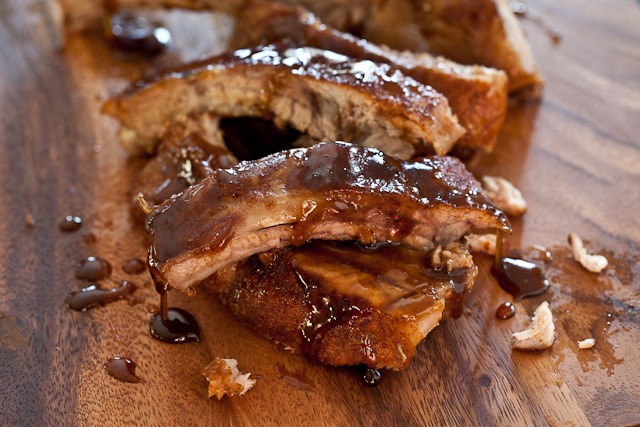 Place the ribs in a resealable plastic bag with the marinade and put in the refrigerator over night. Turn them over ever so often to distribute flavor evenly. We’re going to roast our ribs. Because if you are anything like me you live in an apartment and don’t have anywhere to put a grill. Preheat your oven to 350 degrees. Place ribs in a shallow baking pan bone side down. Roast for one hour (uncovered). Drain off any fat and add a little more marinade. Cook for another 30 minutes (uncovered). If you have any Pictures of food tattoos or awesome recipes you would like to submit, please send them to us at knivesandneedles@gmail.com!